Galway Harbour Company has 2 car parks totaling 140 spaces. These car parks are fully automated “pay on foot” and are operated by the Harbour Company. The pay-machines can accept coins, and notes. The company also operates “on street” parking. These state-of-the-art pay-machines allow payment by coin or credit/debit card and contactless pay using WiFi. Current charge is €2.00 per hour. There is a special night time rate of €4.00 (7pm to 8am). Only tickets purchased from Galway Harbour Company “pay & display” machines in this area are valid. Vehicles that do not display a valid or an expired parking ticket will be clamped. Release fee €85. The Company also operates a 260 space contract car park. Car park spaces may be booked annually (€660), bi-annually (€330), quarterly (€165) or monthly (€60). The permit holder has his/her own designated parking space which is valid for a 7 day week. Please contact 091 561874 for details. Alternatively we operate a 40 space covered contract car park which also includes a further 60 spaces for hourly car parking. Please contact 087 9772033 for details. All vehicles parked entirely at the owner’s/driver’s risk. Neither the proprietor nor the manager have any liability for loss, mis-deliverance of for any damage to any vehicle or its contents. If you do not accept the terms and conditions applicable, you may drive directly to the exit and immediately leave the car park. Full terms and conditions are available in the car park and are on display at the entrance of the car park. 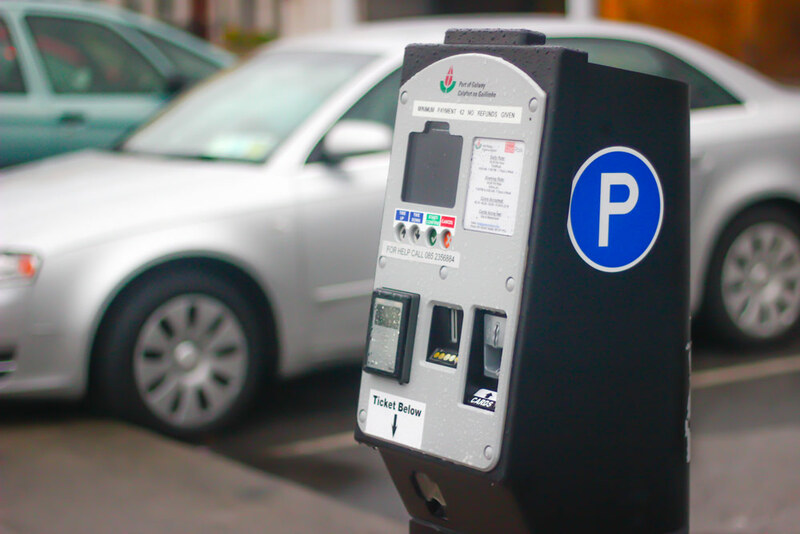 If you lose your ticket, there is a lost ticket function on Pay Machine 2 (right hand side), press the button, it will request you to pay €18 at which time it will issue a ticket to you to enable you to exit the car park.